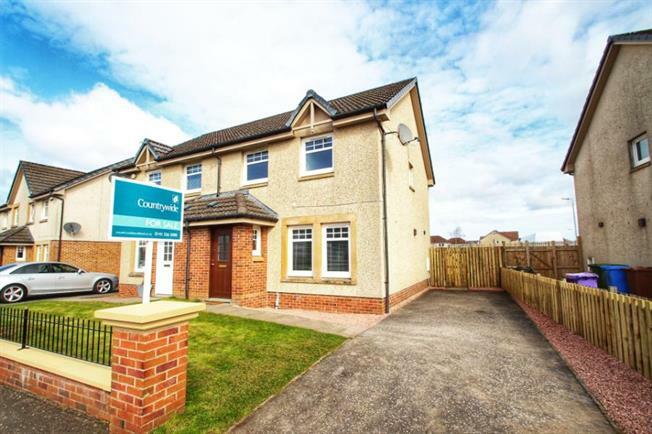 3 Bedroom Semi Detached House For Sale in Glasgow for Offers Over £135,000. CLOSING DATE Monday 8th April at 12.00noon. Viewing is a must to appreciate this 3 bedroom modern semi detached villa which will be of instant appeal and has just been decorated throughout. The property lies within this sought after residential area and is suitable for a number of buyer types. Benefits include large kitchen / diner with doors to rear, ample off street parking and well proportioned gardens. Accommodation comprises: Entrance hall. Lounge. Kitchen / diner. Wc & whb. 3 bedrooms (master with en-suite). Bathroom. Gardens to the front and rear. Ample off street parking to the front / side. All-in-all this is a fantastic family home in a popular area which will have broad appeal to a number of buyer types. Early viewing is highly recommended.